Has the Smart Updater feature been cut? 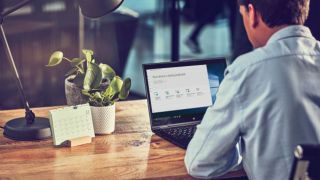 One of the Windows 10 October 2018 Update’s most anticipated features, which some people have been calling Smart Updater, looks like it might not be ready in time for when the major Windows 10 update launches in October. Smart Updater was a feature in early beta versions of the Windows 10 October 2018 Update, which promised to prevent Windows 10 from downloading and installing updates – and then restarting the PC – at inconvenient moments by using Artificial Intelligence. This would have been a very welcome feature for anyone who's lost work, or been interrupted, by Windows 10 updating itself at an inopportune moment. Back in July, Microsoft announced the feature alongside Windows 10 Insider Preview Build 17723, and the company stated that it recognized how annoying unwanted updates were, and said “to alleviate this pain, if you have an update pending we’ve updated our reboot logic to use a new system that is more adaptive and proactive”. According to Microsoft, the company “trained a predictive model that can accurately predict when the right time to restart the device is”. This allowed Windows 10 to sense when it was being used, as well as trying “to predict if you had just left the device to grab a cup of coffee and return shortly after”. That all sounded very promising, and many of us were hoping that the feature would make an appearance in the Windows 10 October 2018 Update. However, after Microsoft released the latest preview build (117763), which many of us assume is essentially the final version of the Windows 10 October 2018 Update, it appears the Smart Updater feature isn't present. PC World, which has downloaded the latest version, discovered that there's now no reference to the Smart Updater feature. PC World got in touch with Microsoft, and a representative told the website that it had “nothing to share” about the feature. That’s not particularly good news, and makes it seem very unlikely that the feature will appear in the imminent final version of the Windows 10 October 2018 Update; if not, hopefully it will turn up in a later update for Windows 10.